A LOT OF STAR POWER to produce. 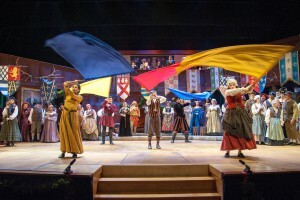 Between the performers, production crews, and backstage crews an awe-inspiring amount of time is donated to the Washington Revels. Last year about 750 volunteers donated roughly 12,000 hours of their time. Volunteers packing boxes in the costume shop– it takes a lot of hands to move our operation down to Lisner. An adult chorus member with perfect attendance gives about 164 hours within the months of September, October, November, and December. Our backstage Props Running Crew members donate 60 hours each over the course of tech and performances. 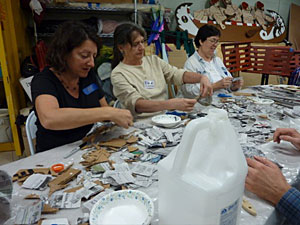 Volunteers at a Wednesday Night Work Party make beautiful crafts for the Merchandise Volunteers to sell at Lisner. The Wednesday Night Work Party volunteers contribute about 280 hours during the rehearsal period, while the Merchandise Crew totals about 260 volunteer hours over the run of the show. To say that we could not produce the Christmas Revels without the tremendous support of our volunteers is a massive understatement. Not only do our volunteers contribute their time, they contribute the energy that makes a Christmas Revels unique every year. Each show is powerful and possesses its own force thanks to the variety of people who contribute to it. 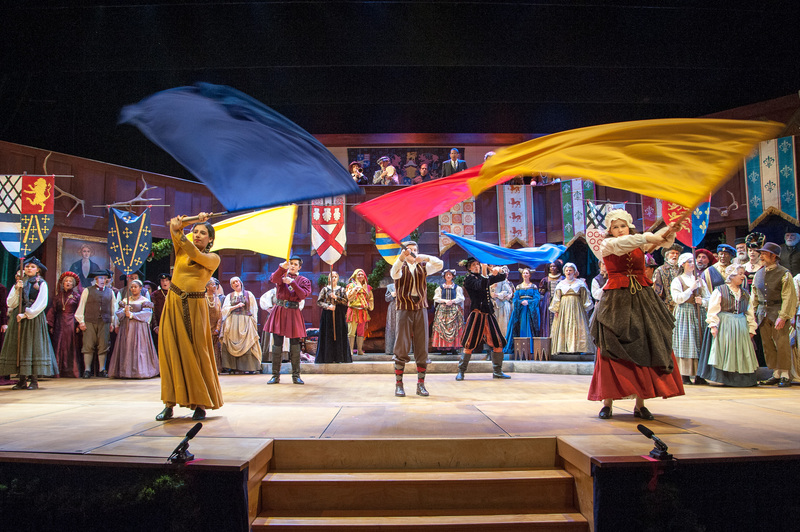 If you are interested in contributing to the power of the 2015 Christmas Revels, please fill out a volunteer form and email it to volunteer@revelsdc.org, or call our office at 301-587-3835.